“It’s a little strange to look at a TV and have it talk back to you, but I got used to it.” Susan Bengston, a senior at the Cleveland Institute of Music, has had hundreds of viola lessons over the Internet during the past five years. “You adapt very quickly,” she adds. 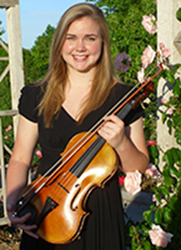 She started in high school in Richland, WA, a location too far from the Pacific Northwest’s major music centers in Seattle and Portland to have access to top-level viola teachers. 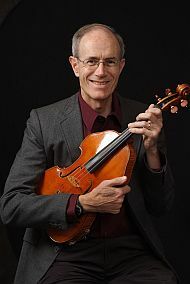 Every Monday morning before school, she took a 60-minute lesson with CIM viola professor Jeffrey Irvine—she at a studio on the Washington State University campus in Richland, he at CIM. Sound and video were communicated via a video conferencing system over the high-speed Internet2 network. Internet2 is a U.S. consortium formed in 1997 to build a high-performance, high-speed, computer network for research and education. Members include major research institutions, nonprofit organizations that are research- and education-oriented, corporations with a role in advanced networking, and connector networks. Internet2 has vastly greater bandwidth than what is available on the standard Internet. Originally geared toward the hard sciences, such as medical imaging and particle physics, the network has had an arts and humanities initiative since 2000. Bengston paid $1,400 per semester, the same as a preparatory student physically at CIM, for 15 weeks of lessons (the distance education department waived the normal connection fee of $150 per session). 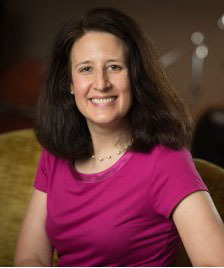 In Cleveland, where Bengston has continued to work (in person) with Irvine, she also has had other interactive online learning experiences, with, for instance Tim Frederiksen, a viola professor at the Royal Danish Academy of Music. Video conferencing had mainly been a business tool, and using it for music was groundbreaking. 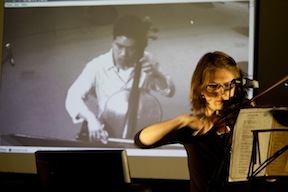 Orto remembers having to lease bundled digital phone lines for early projects, such as making a connection with Henri Dutilleux in Paris that allowed the French composer to witness the New York premiere of his Timbres, espaces and take questions from the audience. “Think of it as an extraordinarily expensive phone call,” she says. The conservatory now reaches up to 10,000 students a year in its virtual learning space. “We deliver educational content to 39 states and 23 countries,” Orto says of distance learning classes for K-12 schools and community centers. For conservatory students, there are Internet2 sessions with players from the Berlin Philharmonic, the London Symphony Orchestra, and other leading musical institutions. MSM also connects its students and faculty with counterparts at other conservatories and music schools in the U.S. and abroad. Orto collaborated with California-based Polycom to create video conferencing devices that can properly accommodate music, and MSM and other schools now use them for most of their online music teaching. The school districts that make up the bulk of the market for distance music education also use Polycom models. The system does not enable “the holy grail standard” of interactive music, however, which is the ability of musicians to play together in real time. But you can, for the most part, with LOLA. 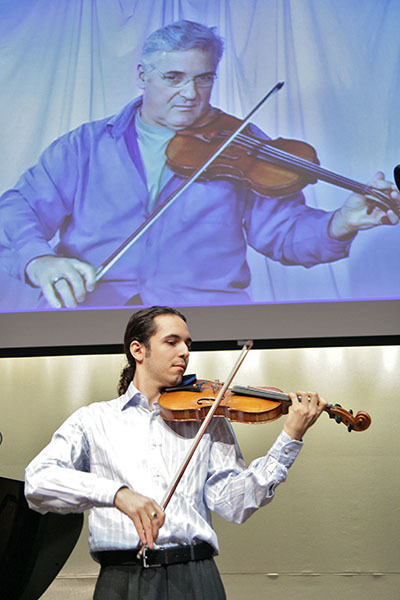 In 2012, some 600 engineers, researchers, and scientists representing Internet2 members jumped to their feet and cheered after witnessing a live duo performance by a violinist in Philadelphia and a cellist in DeKalb, IL. Using Internet2, the players, almost 1,000 miles apart, were connecting through a new video conferencing application called LOLA. “Tech people don’t tend to get excited, but they were flabbergasted that day,” says Dan Nichols, an Internet2 multimedia specialist from Northern Illinois University who helped facilitate the demonstration. “It was a breakthrough,” says Ann Doyle, community engagement manager for Internet2. “People saw that musicians in remote sites could play simultaneously. We had never been able to achieve that before.” Interaction with Polycom was one thing, but simultaneous, synchronized interaction was something else—and unique to LOLA. Developed by the G. Tartini Conservatory in Trieste, Italy, and the Italian Research & Education Network, LOLA stands for “low latency.” Latency—or delay—is unavoidable in video conference technologies like Polycom. “But with LOLA there is virtually no delay. It’s like you’re in the same room,” says Brian Shepard, professor of audio design practice at the University of Southern California. LOLA also requires enormous bandwidth—around 800 megabits per second. A Polycom connection, on the other hand, provides good sound running on as little as two to six megabits per second. 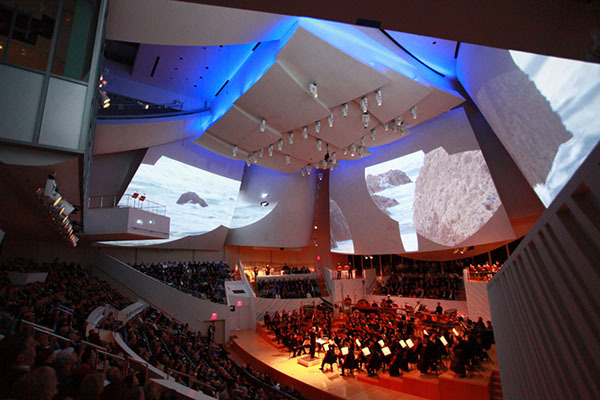 Founding Artistic Director Michael Tilson Thomas conceived the New World Symphony to be in the forefront of new music technologies, as embodied by its spectacular South Beach home, the New World Center, designed by Frank Gehry and opened in 2011. New World, made up of recent conservatory and music school graduates on fellowships, is way ahead of the curve when it comes to deploying technology like LOLA over Internet2. It has as many as 150 interactive musical exchanges a season with other institutions. Audition training with the best. 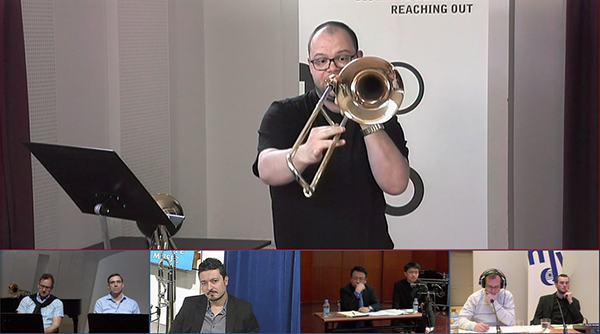 Similarly, the Global Audition Training Project, a collaboration among NWS and four other institutions, enables conservatory musicians to receive feedback from the best in the business, via Polycom. In one session, for example, five trombonists played and got advice from principal trombonists in the Cleveland Orchestra, the Vienna Philharmonic, the Shanghai Symphony, and others. Berklee College of Music [began experimenting with real time virtual master classes around 2000. 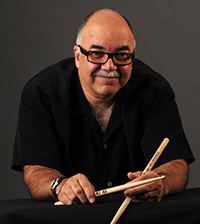 An early effort featured Peter Erskine, a jazz drummer and composer, who was beamed via digital phone lines and Polycom systems from Los Angeles to the school’s Boston campus. Today, Berklee is an Internet2 member and has experimented with LOLA. The Boston campus is connected to the school’s Valencia location in Spain, and there are frequent collaborations both over the network and between recording studios, made easy because they both have the same, interconnected, recording consoles. Berklee Online, separate from the college and the largest online school in the world with 150 courses and 10,000 students a year, does not for the most part have classes in real time. Instead, in conventional e-learning fashion, teachers and students send text and sound and video back and forth, and the only live interactivity in class is a weekly chat. 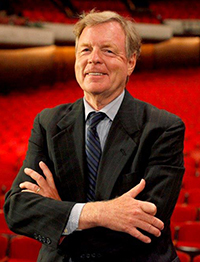 John Fleming writes for Classical Voice North America, Opera News, and other publications. For 22 years he covered the Florida music scene as performing arts critic of the Tampa Bay Times.